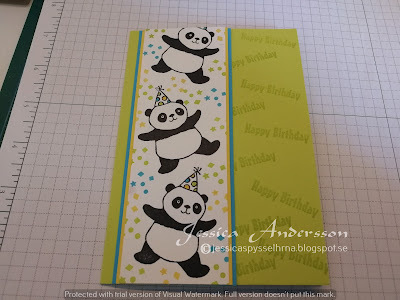 On today´s card I am using the Party Pandas stamp set. I saw this card on Pintrest and thought I have a try. I am using the colours Lemon Lime Twist, Daffodil Delight, Tempting Turquoise and Whisper White. I stamped the Happy Birthday stamp from same stamp on one side of the cardbase. 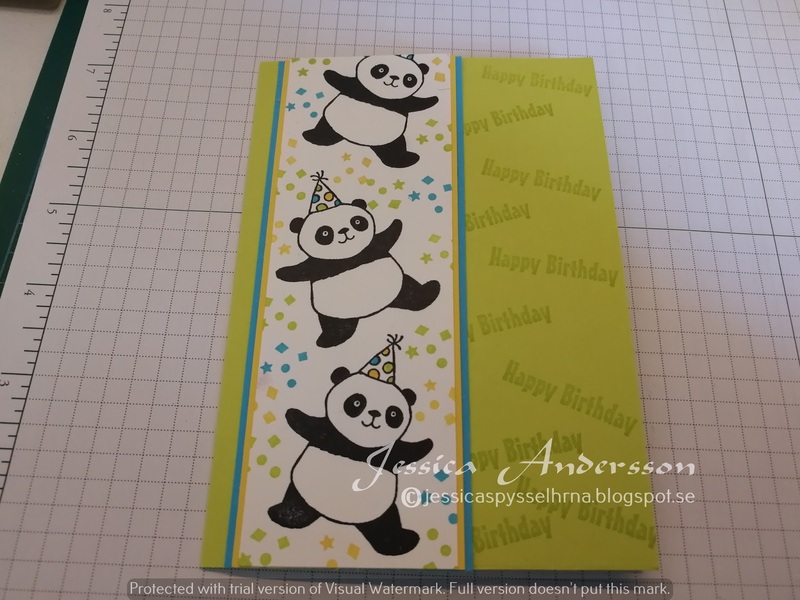 Then I added strips of Tempting Turquoise, Daffodil Delight and on the white cardstock I stamped one of the pandas three times. I then took the confetti stamp and stamped it in same three colours around the pandas. I also painted the party hats on the pandas, I coloured the spots on the hats.